Here’s four new Crook Custom Guitar colors. A red paisley print on a white sparkle paper gives a “Candy sparkle” effect to the print along with red metalflake sides and bursting on the front and back makes for a very three-dimensional finish. This hardtail S-style guitar features Voodoo sweet modern pickups and the “Water” metalflake finish. 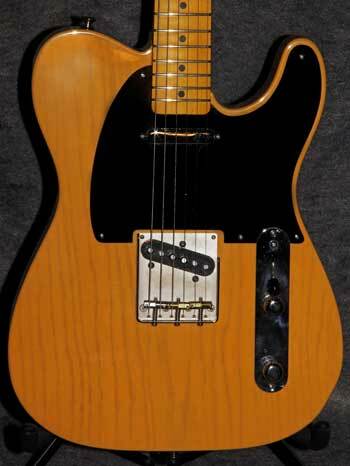 This guitar features a one-piece swamp ash body, black pickguard, APC & Voodoo pickups for a very classic look. Inspired by Danny Gatton, this guitar features a large baked maple neck, gold frost paint and the new Barden “modern” pickups. 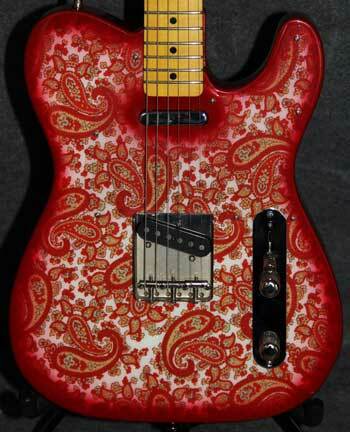 This entry was posted in Story Behind the Guitar and tagged metalflake, pickups, sparkle paisley, T-Style. Bookmark the permalink. Looks great Bill! The BSB looks exactly like the Crook Custom I just bought from John Schmidt. Thinking about what I’d like my next Crook to be. Bill, I love your artistry. Keep up the great work! Bill, I am loving that Gold T color. I think I need one just like it. 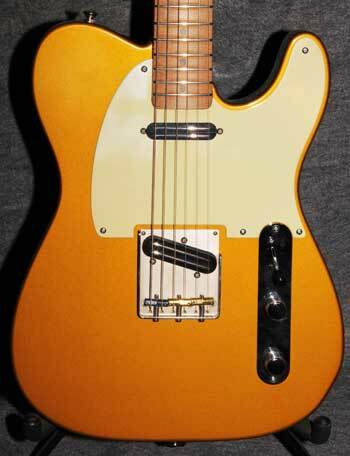 That Danny Gatton color always was a favorite of mine. Great paint colors as always. Very Nice Bill! They all look great and I know, from my last visit, that the gold one sounds killer too. Love the new colors! The New Paisley Looks Sharp, perhaps just as sharp and the vintage vibe ones! 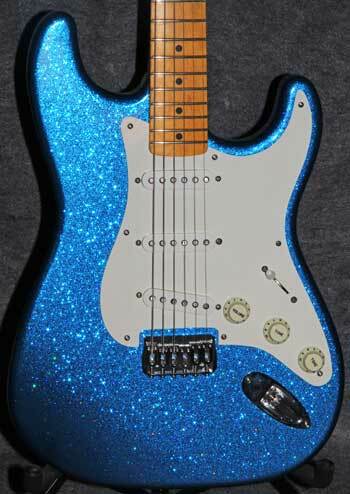 The Blue Sparkle is a great blue, and LOVE the Gatton inspired gold! Great stuff as usual Bill!